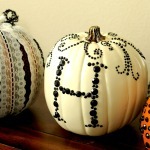 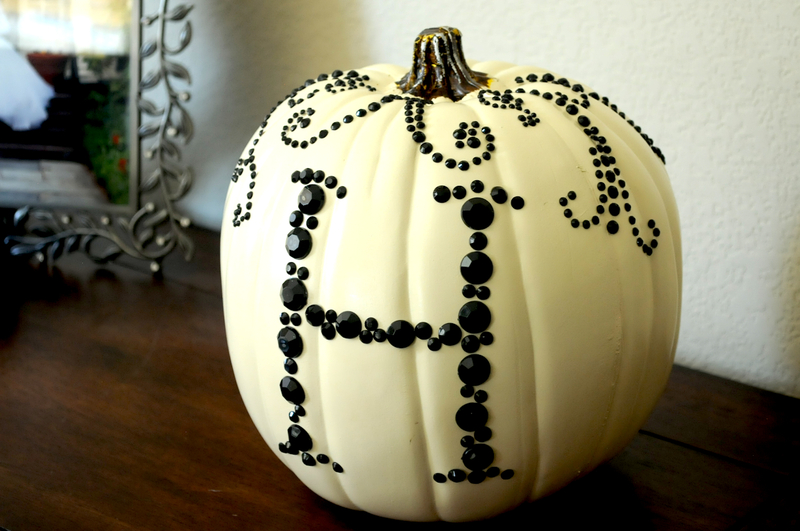 An example of how easy it is to create seasonal crafts. 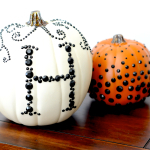 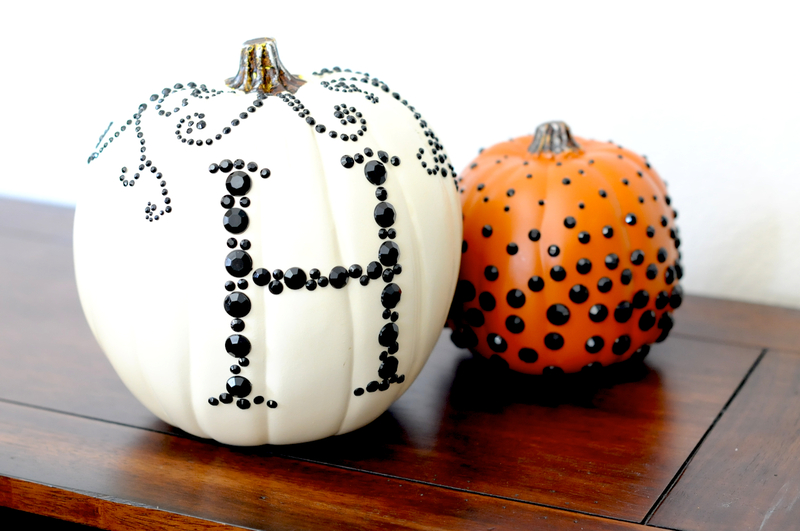 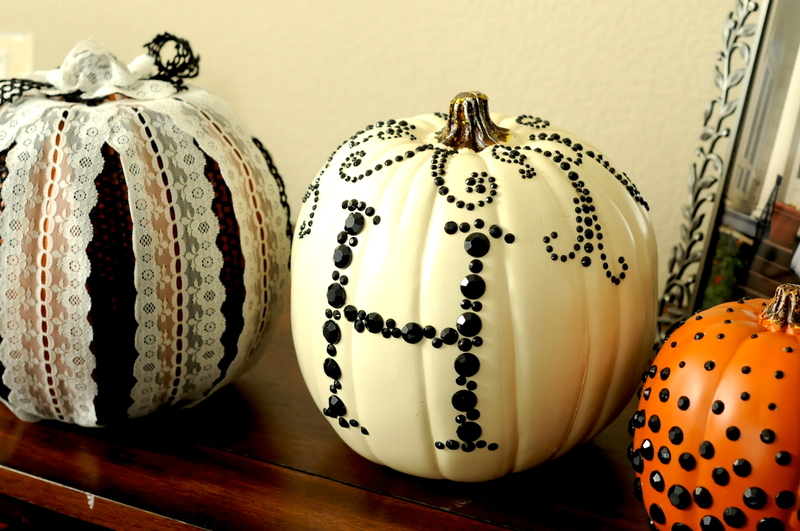 I bought these decorative pumpkins, along with the jewels and ribbon, at Michael’s. 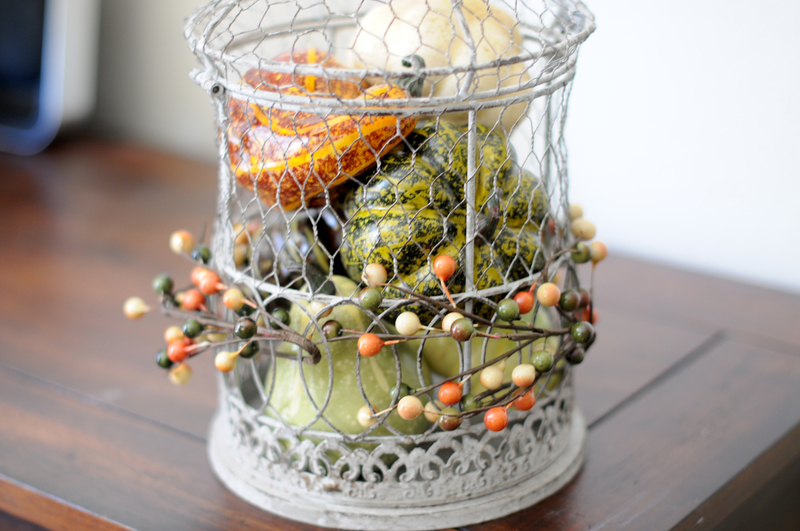 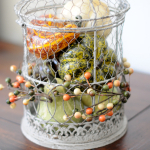 Total project cost was under $30 and shows how easy it is to add a touch of glam to any holiday.